Learn about one of Costa Rica’s indigenous populations first-hand with this tour to the largest Bribri community in the country. 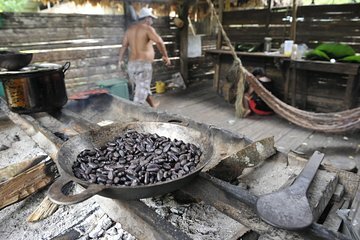 See how traditions like plant medicine and cacao ceremonies still thrive today—you can even taste handmade chocolate for yourself. Then, take a dip in a local waterfall before returning to your hotel.